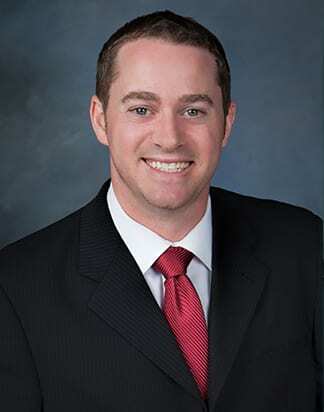 Zach LeLevier-Joseph has joined Costa Mesa-based Westar Associates as a Property Manager for Central Coast portfolio. Costa Mesa, CA (August 1, 2016) – Zach LeLevier-Joseph has joined Costa Mesa-based Westar Associates as Vice President / Property Manager, responsible for the management of the company’s 856,000 square-foot retail portfolio located in the Central Coast. LeLevier-Joseph will handle all aspects of the management for Westar’s properties located in Santa Barbara and San Luis Obispo County including; Hollister Village Plaza in Goleta, The Crossroads & College Square shopping centers in Santa Maria, and The Home Depot Center in Atascadero. He will also assist with tenant and city relations, as well as future developments and renovations including the future development of approved building pads in The Crossroads shopping center and The Home Depot Center, and the final phase of the Hollister Village project in Goleta. Prior to joining Westar, LeLevier-Joseph worked as a Civil Engineer for Penfield and Smith, a private firm based out of Santa Barbara, and as a Project Manager for general contractor Driver URBAN, where he was based in Goleta and played an integral role in the construction of the Hollister Village Mixed Use Community. After growing up in Alaska, LeLevier-Joseph graduated from California Polytechnic State University, San Luis Obispo with a degree in Civil Engineering, and received his license as a California Professional Engineer. After graduation, he chose to stay on the Central Coast where he currently resides.